Credit cards can be a valuable financial tool – when they’re used properly. As long as you don’t abuse the credit line that you have been extended, and make sure you use your card in a responsible fashion, you can enjoy many benefits that credit cards have to offer. By simply only buying things you can afford to purchase, and not thinking of your credit card as free money, you should be able to steer clear of getting yourself into trouble and racking up debt. We often hear about the dangers of using credit cards but we don’t hear as much about the benefits of having a credit card. With that in mind, I’ve come up with five of the common, yet sometimes unknown benefits of using a credit card. Having a good credit score can help you to get approved for loans, get better terms on those loans, and much more. It is in your best financial interest to have as good of a score as possible, and using and paying off a credit card on a regular basis can help to build your credit score as time goes by. Simply use your card periodically, and make sure to make your payments on time each month. This is one of the more obvious benefits of credit cards, though many don’t take advantage of it. Many credit cards include some kind of rewards program through which you can earn points that are redeemed for goods, cash, travel, etc. You can even take this a step further and churn credit cards so you can earn free trips. I will say though that churning is not for everyone and that is ok. That is especially the case if you’re in debt or are tempted to overspend when having too many credit cards. That said, if that’s not an issue for you then a rewards credit card can be a great way to get something back for spending you might already be doing. Again, this is a feature that varies from card to card, so make sure to check the fine print on any card you apply for. Some credit cards offer forms of protection such as rental car insurance, travel insurance, and more. 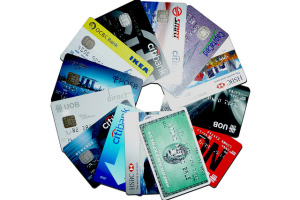 Find out what your card has to offer so you know that it is available if the need arises. Like with rewards, the protection features alone shouldn’t be the deciding factor in your card selection, but it is a nice feature to have available in the event you may ever need it. There are many retail stores out there that offer price matching, but many don’t know that some credit card companies offer the very same service. This is another one of those areas where you’ll need to read the fine print of the disclosures but is a great benefit to have if you can get it. The price matching will very with regards to the amount of time as well as to the amount you can claim each year but can be a nice little way to get some sort of refund on a given item. This is one that is going by the wayside somewhat, but there are still credit cards that offer concierge services. This can range from something as simple as helping with dinner reservations to that restaurant you want to try out, to concert tickets, to travel agent type services and much more. We’ve had a card like this in the past and loved being able to take advantage of it when we had need. As many cards don’t offer concierge services any longer, you’ll want to check the fine print to see if they do and what it covers. What other benefits can you think of to using a credit card? Besides rewards, what’s the main reason why you use a credit card? Have you ever had a card that offers concierge services? The main use for my wife and I are the rewards. I only use cash back cards, but she has an airline card that she uses a lot. For us, it makes sense since the carrier has a “home base” in our city, so 99% of the time, we fly on their airline. Doing this helped us to fly free first class on our honeymoon and we are looking to fly for free to Ireland this year as well. Very nice on flying for free to Ireland! My wife and I spent two weeks in Ireland for our honeymoon – you’ll love it! One of my credit cards has a warranty extension benefit that extends any manufacturer warranty by 1 year. It almost came in handy when my MacBook had problems this summer thankfully Apple ended up taking care of it outside of warranty. I use credit cards for the rewards, but the other reason is the protection. We’ve done a lot of traveling this year and had two times where we had to dispute a rather large transaction with the credit card company. Thankfully both times our side won! I’ve thought about trying to use CCs for my benefit, but I’m not at that point yet. I need to get my CC debt gone first and be ble to trust myself with them again before I can use them for any benefit. Unlike many haters out there, I love credit cards for all of the reasons you say, but mostly for the rewards. I think every trip I took last year was funded by credit card rewards that came from our normal household expenses. The cards really do save us money over the year. I’m will never be a great fan of credit cards, but I am fully aware of the benefits they can have. The key is to use them responsibly and read the fine print. Some of the reward cards are not worth the high interest rate and the annual fees. Hmm.. besides rewards, credit card can give me a quick way to borrow money and can help me keep track of my expenses.